Mark Montano: Wow, I'm diggin' this stuff! Some inspiration for the week. Hope you enjoy! BTW, thanks for all the comments. You guys are wonderful! 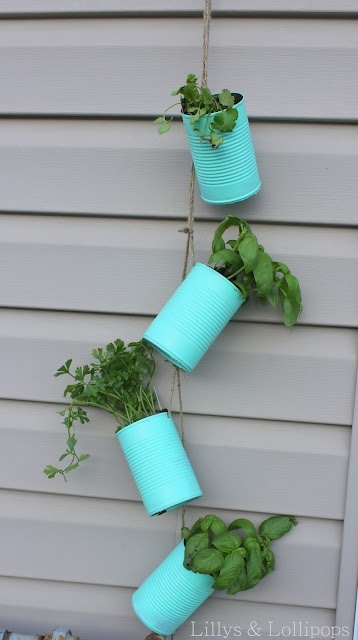 Great way to make a hanging herb garden if you don't have tons of space. 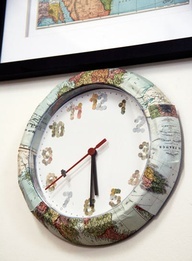 You could cover a clock like this with almost anything. Use Elmer's glue and Minwax Polycrylic for the job. Best way I've seen to store glitter. Someone said they would store their embossing powders this way. I think this looks terrific. Of course I would need about 800 of these antique shakers. Not a huge wreath fan (I know, I know...what am I saying?!) I'm just not. 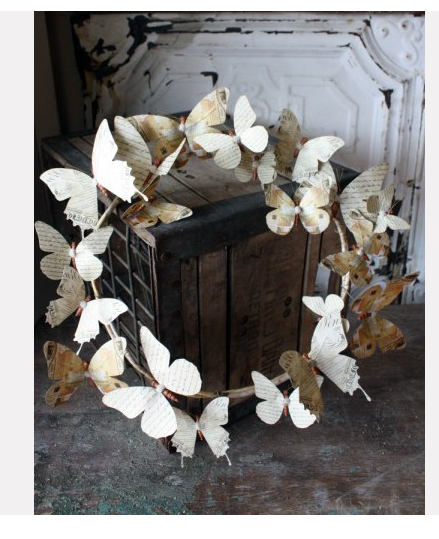 However, I thought this was a nice alternative to the flower wreath. 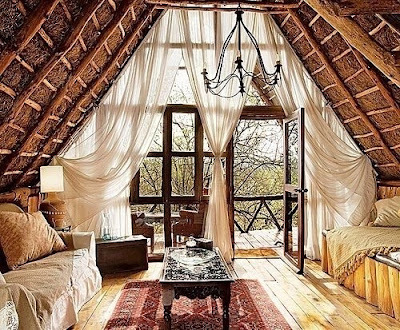 This room just seems peaceful and beautiful to me. I could spend an entire afternoon there just reading and painting. Breathtaking! 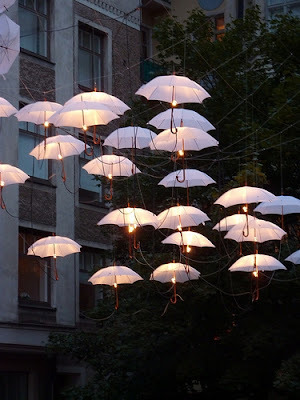 And, the umbrellas protect the light fixtures in case of rain. Genius? Think so! Love all of these! Really love the umbrella lights. You have an eye for the wonderful, Mark! Everything here is great, but those umbrellas? Absolutely magical!!! Thank you for sharing - love them all! 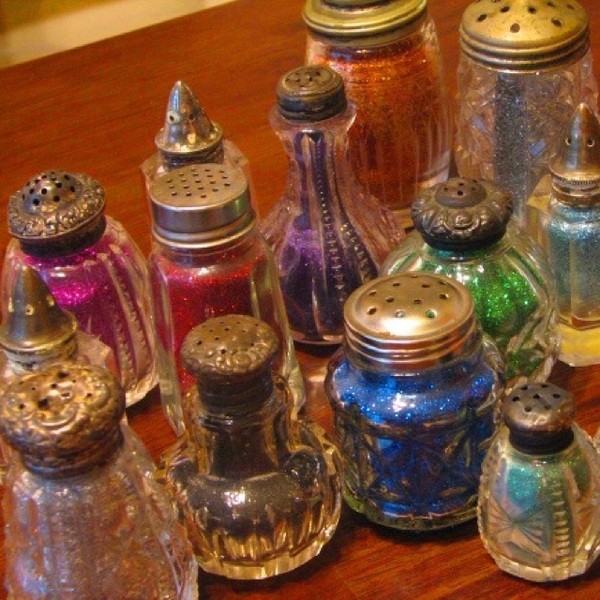 I love love LOVE the glitter in the salt and pepper shakers! !